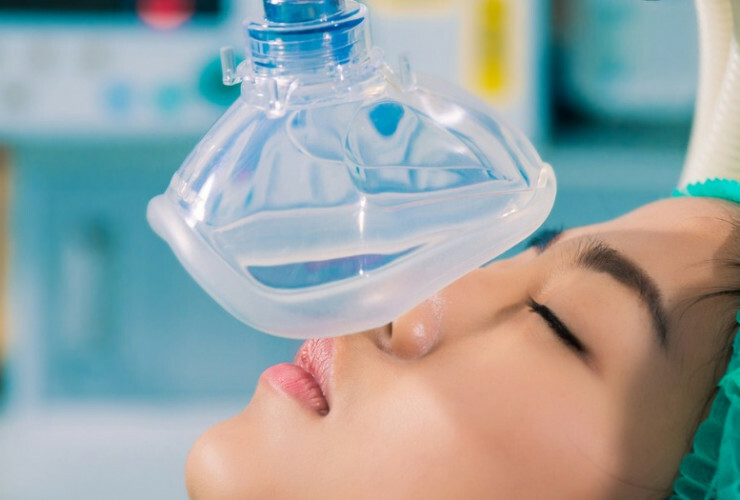 A step-by-step guide on how to become an anesthesiologist. Step 1: Is being a anesthesiologist for me? Is being an anesthesiologist for me? Are anesthesiologists happy with their careers? Still unsure if becoming an anesthesiologist is the right career path? Take the free CareerExplorer test to find out if this career is in your top matches. Perhaps you are well-suited to become an anesthesiologist or another similar career! Graduate from high school, paying special attention to science classes (biology, chemistry, physics & physiology). Get a bachelor's degree from a university (four years). While there is no 'major' requirement, it would be wise to major in either biology, neuroscience, chemistry or nutritional science. Take the MCAT (Medical College Admission Test). You can prepare for this test by taking practice exams, or enrolling in an MCAT preparatory course. Your scores from this exam plus your transcript will be the basis of your acceptance to medical school. Medical school will take four years to complete. You will either earn a Doctor of Medicine degree or a Doctor of Osteopathic Medicine degree, both of which will qualify you to become an anesthesiologist. Anesthesiology residency will take four years to complete. Residents will receive clinical training where they will work in a hospital and provide medical care to patients under supervision. After the four years of residency are complete, the resident will be eligible to take the American Board of Anesthesiology examination. Many physicians at this point decide to complete an additional one-year fellowship after their four-year residency. This allows them to focus on a specialized field like cardiac or pediatric anesthesiology. The physician will need to take the United States Medical Licensing Examination (USMLE) and/or the Comprehensive Osteopathic Medical Licensing Examination (COMLEX) to obtain licensure to practice medicine in the US. Board certification is optional. Not all anesthesiologists are board-certified, but most (90%) are. Board certification demonstrates a physicians' expertise and commitment to the practice. Completing the anesthesiology board certification exams indicates mastery of anesthesiology, as well as a professional commitment to adhere to the ABPS Medical Code of Ethics. 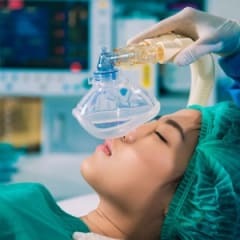 Should I become an Anesthesiologist? Educational Debt The educational debt for anesthesiologists can be broken down into three major parts: Undergraduate Tuition Some colleges are as low as $6,000/yr; others as much as $20,000/yr (don't forget to add another $10,000/yr for living expenses). Medical School An average of $160,000 for four years of study Residency Training There will be a salary during these four years, however you can expect to carry an additional $100,000 in debt. Certification Costs Certification gives anesthesiologists a competitive edge and recognition from peers. Certification is not required, however it does demonstrate professional competency. Anesthesiology certification fees are approximately $750 for the application, $1,400.00 for the CBT exam, and $1,600 for the oral exam. Work Hours Anesthesiologists are on-call and work around the clock in hospitals to administer anesthesia or pain medication to patients. This may not be the best work schedule for those with families. Stressful Work And Not A Lot Of Recognition Working in a hospital environment is stressful, especially in emergency situations. Patients seldom recall who you are, as you are the first in and last out. You are sometimes seen as a technician instead of physician, and you are often mistaken for a nurse. Liability Insurance Patients may not remember a job well done, but they will remember a problem. They do not see that the anesthesiologist is watching every second, monitoring trends, responses to meds, and reactions to surgical stimuli. Anesthesiologists must carry liability insurance in case they are sued for malpractice. Excellent Pay One of the biggest benefits to becoming an anesthesiologist is the salary. According to Salary.com, the median annual Physician - Anesthesiology salary is $352,518, as of February 22, 2016, with a range usually between $305,400 - $399,629. Anesthesiologists with a lot of experience can expect to earn upwards of $450,000. Anesthesiologists must be able to quickly build a friendly but professional rapport with patients who might be a bit anxious or frightened at the thought of their surgery. Anesthesiologists do acute care rather than clinic or chronic care, therefore patient contact is often limited, typically consisting of a short interview before surgery and very little contact afterward (perhaps for pain management). An anesthesiologist might only see a patient once compared to a family practice doctor who sees patients many times over a number of years.